Before now, we have come to associate kidnappings with the oil producing areas of the country, the south east, and not too long ago, the Northern parts of the country through Boko Haram. These kidnappings have been driven mostly by political leverage and financial gains. Folks living in Lagos have mostly felt a sense of immunity to this malaise until recently. 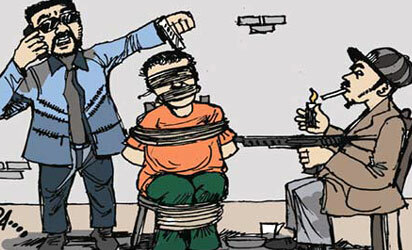 There has been a spate of kidnappings in the Ikeja, VI and Lekki areas. Victims have been Nigerians and expatriates alike. In the past week there have been reports of four Lebanese and a Briton kidnapped and freed after ransom negotiations. A common modus operandi for kidnapping locals is to block them off in traffic or at the entry gates to their homes, after which they are taken to ATMs and their accounts drained. There have also been stories of situations where, upon discovering a healthy balance in the victim’s account, they are kept for a longer period and their family is contacted to empty same accounts with signed cheques, etc. Someone told a story of how he was taken one early morning on the Lekki – Epe expressway by VGC roundabout. His jeep was suddenly hit from behind by another vehicle. As expected, both drivers pulled over a short distance away to sort out the issue and the two guys who alighted from the car that hit him suddenly brought out guns and whisked him away after combing his car for his briefcase, phones, etc. Blindfolded, he was taken to a flat somewhere in a compound with other occupants. Because it was very early in the day, it was easy for them to bring him in unnoticed. All day they would play gospel music and greet their neigbours with phrases like “we bless God”, “Calvary greetings to you Ma”, etc. So they put up the face of good Christian businessmen sharing a flat, whilst unbeknownst to their neigbours, they used the place as a holding pen for their victims. Luckily, he was released unscathed after two days of negotiations and payment. Release of kidnap victims may sometimes be complicated leading to injuries and loss of lives. · Outings in the late hours and very early hours of the day should be curtailed, if possible, completely avoided. · Maintain a low profile; do not display large sums of money, jewelry or other apparent evidence of affluence. Be discreet. · When out on the road, be alert and take note of unusual happenings like vehicles trailing you, if you have any reason to suspect foul play drive to a safe haven like a police station rather than drive home; if you observe a strange vehicle or persons around your home, discreetly call law enforcement agents for help. · As much as possible, avoid lonely routes so you do not become an easy target. · Ensure you carry out background check on drivers, house helps, home lesson teachers and other non family members that are likely to have access to your home. o Do not get caught in the cross fire with police response teams, take reasonable precautionary steps like lying flat on the ground or raising up your hands above your head. If you’re like me and have been irritated at the trend of pastors and “men of God” living luxurious lives, travelling in exclusive private jets, keeping multi-billion naira bank balances and rubbing it in our faces, this article from J. Lee Grady should strike a chord. It uses the life of the new Pope Francis as a standard of what true Christianity should be about. I hope you enjoy and share as widely as possible. I’m not Catholic, and I’ve never completely understood Catholics’ preoccupation with Vatican politics. But I’ve been watching the Vatican closely since last week when Jorge Mario Bergoglio of Argentina became the 266th pope and instantly got 2 million followers—and counting—on Twitter. Why is this man so popular? That’s easy to understand. He’s humble. He cooks for himself. He chose to live in a small apartment in Buenos Aires instead of the archbishop’s palace. When he was the leader of Argentina’s Catholics, he took el micro—the city bus—to get around. He took the bus again after his election last week in Rome. He even slipped out of the Vatican after his election to go and worship with the regular people—without security guards or the popemobile! And Bergoglio, who will go by the name Pope Francis, is a staunch advocate of social justice. He reportedly asked his Argentinean colleagues to skip his inauguration in Rome and give the money they would have spent on airfare to the poor. Have you noticed a contrast between Pope Francis’ simple lifestyle and the sickening excess that is on display among some of our Pentecostal/charismatic leaders? We have evangelists who send a small squadron of muscular thugs to “scout” the lobby of a hotel before they arrive. This is extremely odd when you realize that most of the people in said lobby have never even heard of the guy! Sorry, but I really don’t trust a man of God who claims he needs a bodyguard in church. Get down on the people’s level if you want to minister to them. NO MORE $10,000 PER NIGHT HOTEL ROOMS. We have slimy TV preachers who beg for dollars on Christian television stations, pocket a large amount of the take and then use some of the funds to install marble floors in their four-car garages. That’s worse than when medieval priests sold papal indulgences to get relatives out of purgatory. I don’t believe ministers have to drive clunker cars. Higher-priced cars usually mean lower repair bills. But we have a problem when a visiting preacher refuses to be picked up at the airport in a church van, or when the pastor of a 100-member church insists he must ride in a neon yellow Ferrari. Get over yourself. Maybe you should learn from Pope Francis—and take the bus until your ego shrinks to a normal size. Last week in this column I shared a dream in which I saw a tsunami crashing into the Vatican and turning the Catholic system upside down. 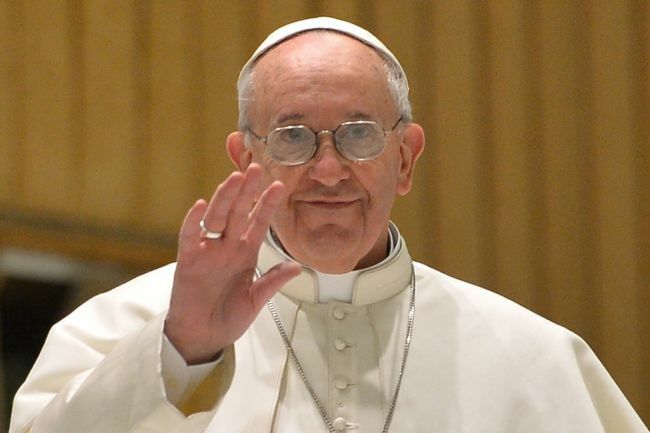 When the new pope was elected, an Argentinean newspaper called him “Tsunami Bergoglio” because they expect him to reform the stuffy, prideful, bureaucratic Vatican and challenge Catholics to return to a humble focus on Christ. We need the same drastic reforms on our side of the evangelical/Catholic divide. We need Pentecostal and charismatic leaders who shun the palace, reject lavish excess and get back to the basics of true gospel ministry. J. Lee Grady is the former editor of Charisma and the director of The Mordecai Project. Over a decade ago, my “place of origin”, Sagamu, was going through a difficult period with armed gangs running wild and free. 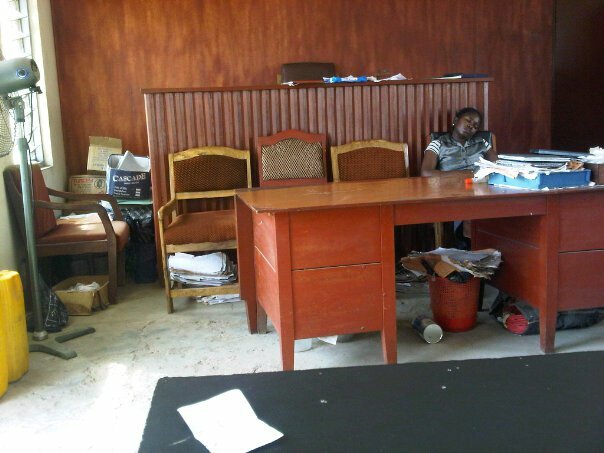 Sagamu was a no-go area for visitors, and business activities were at an all time low. The Security agencies and the government of the day were also at their wits end. The last straw was when the son of a high chief, The Lisa of Remo, was killed. The indigenes of Sagamu, led by the elders, held a series of meetings and a vigilante movement was born. These guys swung into action, gave a one-week ultimatum for all known robbers to leave the town. On the expiration of this window, they carried out a series of raids and extra judicial killings. Sometimes criminal sons were brought out in front f their mothers and summarily killed, etc. Families and neighborhoods, on their own, started house cleaning, banishing their kinfolk from Sagamu and reporting those recalcitrant ones to the vigilante group. Eventually, Sagamu’s peace was slowly restored and the vigilante remained to this day. Though in recent times, they have been used as political tools, the people of Sagamu still prefer the current situation to what we had years ago. Now back to Boko Haram and the North. You all know their story and the trail of destruction and blood they have left on indigenes and non-indigenes of the North, Churches, government apparatuses and not too long ago – the Emir of Kano! 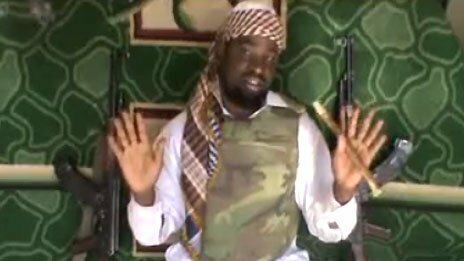 If the attack of the Emir did not signal the watershed for Boko Haram, I don’t know what else can. The North has never been known to be docile, especially in areas of using force and exercising militia related power. Recall the counter coups, the pogroms, Zangon Kataf, etc.? Organized mass outrage has never been lacking in this region. That the person of the Emir of Kano was attacked and all the Northern leaders and opinion makers remained un-moved tells a very grave story of mass complicity. This is what Boko Haram feeds on. And I think those silent onlookers also know what their end goal is…and it is shared. While the intent of this is not to preach violence or reprisal attacks, the key stakeholders, the citizens and elders have to get up and do something before this consumes their way of life as they know it. Ordinarily, one would be happy that the government is taking steps towards securing our assets and ensuring transparency from its upstream International Oil Company (IOC) partners. Is this new role covered in the legal mandate of NIMASA from the act setting it up? What then are the functions of the DPR, Customs, and NNPC? By the way these agencies are already stationed on our oil platforms, floating production storage and offloading (FPSO) vessels, and crude oil export terminals! Will NIMASA be stationed on production “platforms” and oil and gas export terminals to police these other agencies mentioned above? Why should a maritime safety and security agency be interested in economic issues associated with offshore oil production facilities? How do you monitor petroleum products imports and subsidy records from oil production installations? Since fraudulent crude oil accounting and export is potentially an economic crime, will the EFCC or the Police also be stationed on our platforms? q. Establish the procedure for the implementation of conventions of the International Maritime Organisation and the International Maritime Labour Organisation and other international conventions to which the Federal Republic of Nigeria is a party on Maritime Safety and Security, Maritime Labour, Commercial Shipping and for the implementation codes, resolutions and circulars arising there from. Surely, none of these talks about crude oil exports monitoring and accounting. Supervising all petroleum industry operations being carried out under licenses and leases in the country in order to ensure compliance with the applicable laws and regulations in line with good oil producing practices. Enfocing safety and environmental regulations and ensuring that those operations conform to national and international industry practices and standards. Keeping and updating records on petroluem industry operations, particularly on matters relating to petroleum reserves, production and exports of crude oil, gas and condensate, licenses and leases as well as rendering regular reports on them to Government. Advising Government and relevant Agencies on technical matters and policies which may have impact on the administration and control of petroleum. Processing all applications for licenses so as to ensure compliance with laid-down guidelines before making recommendations to the Honourable Minister of Petroleum Resources. Ensuring timely and adequate payments of all rents and royalties as at when due. Monitors Government Indigenization policy to ensure that local content philosophy is achievable. These functions cover all activities in petroleum operations; upstream and downstream, as well as petrochemicals. Clearly the DPR is more suited to this function and they already have their permanent representatives along with NNPC and Customs on our export facilities (including FPSOs). Rig – This is a mobile platform or ship, operating on land, swamp or at sea, equipped to drill wells for the exploration of crude oil and gas. Production platform – A fixed offshore structure built and equipped for the purpose of producing crude oil, and gas and transferring same by export lines to oil terminals for processing and export. No export is done at production platforms. Oil terminals – These are facilities on land that receive produced oil from offshore platforms, process, store and export quality crude oil through offshore mooring facilities. Floating Production Storage and Offloading (FPSO) vessel – This is a big ship, usually without an engine, which is equipped to produce crude oil from subsea wells, process and store same and export through buoys (mooring facilities) stationed at sea. From the above, what would NIMASA or any agency interested in monitoring crude oil exports be doing on platforms, as suggested by the presidential order? I’m sure this topic needs no introduction to Nigerian bloggers and netizens. 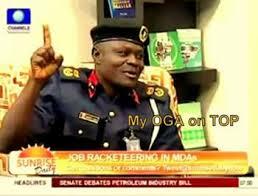 For the uninitiated, “My Oga at the top” is a mantra that arose from a TV interview with an area head of a Nigerian security agency – the NSCDC (Nigerian Security and Civil Defense Corps). Due to reports of employment scams going on at this agency, Channels TV interviewed Mr. Shem Obafaiye, the Lagos commandant of the agency. In an attempt to understand the official employment route of the agency, Mr. Obafaiye was asked to clarify the agency’s website…and the rest is history. Commentators across the country were appalled that Mr. Obafaiye did not know his agency’s web address or basic web protocol (ww…that’s all). The commandant’s body language, response to questions and weak attempts at deflecting the simplest of questions by deferring to an imaginary “oga at the top” was, to say the least, an embarrassment to his agency. The shock and comic value of this interview has made it go viral, with several variants like music, comedy skits, full-length interview and all sorts of parodies on YouTube, averaging 60,000 hits. NSCDC is a para-military agency of the Government of the Federal Republic of Nigeria that is commissioned to provide measures against threat and any form of attack or disaster against the nation and its citizenry (sic). Their website (the real one) also shows that they are engaged in peace keeping missions abroad, they respond to national emergencies, etc. Why do we have the military, police and the fire fighting services? In my opinion, this is another duplicate agency offering no additional value but creating an administrative and financial drain on our annual budget. So what has happened since this earthquake? Vanguard newspapers reported that the NSCDC leadership, in the wake of this TV interview, suspended Mr. Obafaiye. There are also unconfirmed reports that his wife was at Channels TV office to protest her husband’s embarrassment by the TV station. The real question here is how many government officials even understand the concept of a website? What kind of people development is going on in our public sector if someone can rise to the rank of Commandant of such an agency and is incapable of representing his organization in public? I have heard folks come out to criticize Channels TV for deliberately exposing Mr. Obafaiye’s ignorance. Some have even gone on to say other officials may not be open to doing interviews on Channels TV. I think Channels TV was in order. They were doing their job as a media organization. Now it is confirmed to everyone, even the ostriching Ogas at the top all over government that we have a legion of yesterday’s men running today’s affairs. I would like to see our president and ministers start up a laptop and open a simple yahoo email account without looking at a cheat sheet. To all those who think our politicians have been the ones updating their Facebook statuses. I naff in Agbaro dialect. I have been to several diverse government offices to conduct municipal business. With each one I visited, I came away with almost the same feeling of pity for the folks growing through these systems and annoyance at politicians for the slow process of reform. Lagos state and Abuja are the only civil service offices that I’ve visited that showed a purposeful drive to modernize. In some cases Lagos has even comparable systems to the organized private sector. The quality of their personnel, management systems and office environment is way above others. My experience at the Ogun state judiciary is another story altogether. The courtrooms were unkempt and had an unprofessional air about them…this even with the magistrates being given brand new jeeps as official cars. The record keeping was so poor that the file for my case was misplaced and this delayed us for another two months! Also all the record keeping of proceedings was done on a hard cover notebook in hand writing. No functional computer was in sight, talk-less of a system. My Oga at the top should be a national wake up call for those saddled with the task of modernizing our public service. If the commandant was truly punished, it was a wrong move. The logical next step is to take a cursory look at systems in place in our bureaucracy and strengthen how people are developed through the ranks. This is not just about the commandant. The rot is system wide in our public service. But yes, Mr. Commandant proved to be out of his league at the top of any National Agency. But that is the Nigerian standard. Sadly. Who Owns The Oil Blocks? A few days ago, there was some furore about Northerners owning 85% of Nigerian oil blocks. This allegation was raised by Senator Ita Enang. This did not go down well with Nigerians. The Niger Deltans were the ones most hurt by this “revelation”. At least one activist from this region has been quoted on the pages of newspapers ranting and “directing” the president to revoke the licenses/concessions, etc. Well, we now know this to be largely untrue. It now seems this was a planned distraction from Senator Enang to justify a present or future move by Mr. President on allocation of oil blocks or marginal blocks in his regime. Before we show the real list, as recently published by Thisday, lets first go to class and educate ourselves on the jargons (oil block, OPL, OML, marginal fields, etc) and the workings of thee “allocations”. Pardon my laziness as I lean heavily on my friend, Adebayo Ajagunna and ThisDay on this one. What we call an “oil block” is acreage of Nigerian fields which investors can apply for to explore and based on their findings produce hydrocarbons. Based on data, Nigeria is mapped into fields. If you want to and you have the technical knowledge and financial muscle and you can use available data to identify a field you want to invest in, you bid and get an OPL (Oil Prospecting License) if successful. That is what is called a “block” when you get the OPL, there is no guarantee you will find oil. You spend millions of dollars drilling exploration and appraisal wells and doing data analysis to determine how much oil is on the acreage and how you can cost effectively get it out. You can spend millions on exploration and when you now have what is known as “proven reserves” based on a combination of your findings from exploration, analysis of geological and geophysical data and application of some petroleum economics principles, you apply to d government for a mining lease which is what is known as an OML (Oil Mining Lease) it is when you start mining that you get revenue, you recover the cost of your exploration and you begin to pay government revenue and royalties depending on whether your contract with government is a JV (Joint Venture) or PSC (Production Sharing Contract) or whatever contract you have with the government. For every successful OML there are two or three OPLs that failed commercially. The system essentially passes all the risk of exploration to the investor. Very few Nigerian banks will support you in exploration; they only want to come in when you have proven reserves, so whoever pulls the deal together must be able to reach far for the level of financing required. So on the list you would see below, which focuses on indigenous ownership alone (no IOCs), I would prefer you focus on the OMLs because that is where we really have the producing assets. However, some of the OPLs quoted below have since transitioned to OMLs after successful exploration. B.N. Itsueli, C.A. Itsueli, O.O. Itsueli, A.E. Ihuegbu with U.J. Itsueli as Chairman. Waltersmith Petroman & Morris Petr. Sahara Energy & African Oil Ltd.
(Source: Thisday Newspapers – http://www.thisdaylive.com/articles/real-ownership-of-indigenous-oil-blocks-revealed/142113/ ). Deep offshore – Oil fields located well beyond our continental shelf in ultra deep sea areas which also require very specialized prospecting and mining equipment. 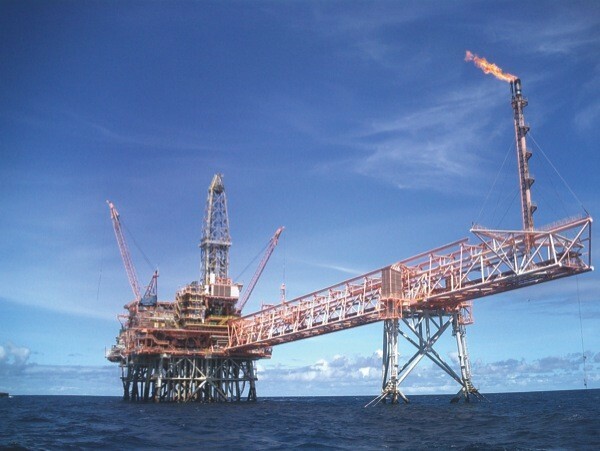 Marginal field – a proven or producing oilfield with economics of scale favoring only operators with low overheads. While marginal fields have historically been allocated by NNPC after being farmed out by the IOCs, in recent times SPDC sold a lot of marginal fields, as part of their onshore divestment strategy, to independent local operators. 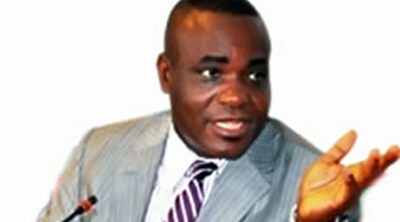 In the final Analysis, Senator Enang was wrong! The Nigerian blogosphere and cyberspace in general has been recently in a state of confusion over a report that the National Assembly was in the process of passing a bill to grant her members immunity from criminal prosecution, etc. This was more than a little worrisome to some of us. It seemed that the house members were beyond redemption with this latest move. 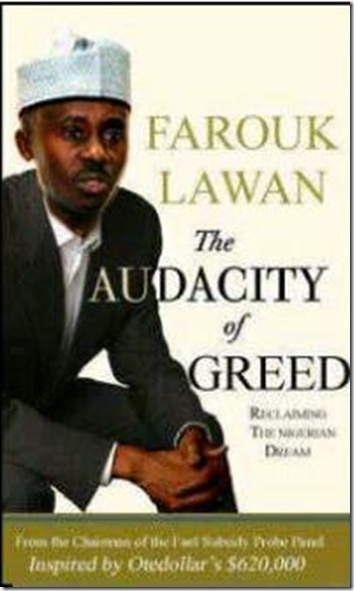 Conspiracy theorists had gone to town on how the immediate target of this bill would be serial bribe takers and cap bankers like Farouk and Hembe. What to do? Petition this move publicly and on the floor of the house? So, some folks were put to the task of verifying the details of this “obnoxious bill”. Luckily Hon. Femi Gbaja, the house minority leader was on hand through our Gen-X Facebook page to give the following response. Gentlemen, I appreciate your concerns about the immunity Bill. I would be too if I thought it was to confer criminal immunity on legislators. However it does not. What the Bill does is to confer immunity to legislators over anything said during a debate on the floor of the House. As you know it will be difficult for a legislator to fearlessly articulate and debate issues on the floor if he has to be worried that he would be dragged to court for slander etc. it has nothing to do with immunity from anything else. It’s is more or less civil immunity and restricted to speeches made during debates. It is important that practically all democracies world over have this immunity for their legislators. In fact it was already a provision under our laws, the Legislative Houses and Privileges Act but the Supreme Court ruled that it was unconstitutional and could not stand unless the constitution was amended. This is what the House has done in conformity with international best practices and in line with other democracies. It is important to reiterate that any member can still be sued for any other offense whether fraud, violence, reckless driving etc. I hope this explains the Bill and clarifies issues. God bless you all. Apparently there is also a link on the NASS website that shows all the current bills for consideration, etc. A BILL FOR AN ACT TO ALTER THE CONSTITUTION OF THE FEDERAL REPUBLIC OF NIGERIA 1999 (AS AMENDED) BY PROVIDING IMMUNITY FOR THE MEMBERS OF THE LEGISLATURE IN RESPECT OF THE WORDS SPOKEN OR WRITTEN AT THE PLENARY SESSION OR AT COMMITTEE PROCEEDINGS, TO GUARANTEE THAT FREEDOM OF SPEECH AND DEBATES AND PROCEEDINGS IN LEGISLATIVE HOUSES ARE NOT IMPEACHED OR QUESTIONED IN ANY COURT OR PLACE OUT OF PARLIAMENT AND FOR RELATED MATTERS. So I resolved to like honourable Gbaja’s Facebook page and also to friend him. He has shown himself to be an asset with this response. I am also happy that the news was not as bad as we had previously thought. The NASS members have not gone totally rogue on us…thankfully. In using “some folks”, “we”, “us”, etc., from the first paragraph, I was referring to Gen-X Nigerian Citizens Forum. Look us up on FB and join if the vision and goals agree with you.